Taking a hut trip or long traverse and want some backup? Want to revive an old, beat up pair of skis? G3’s tech heel pieces are available separately and now you can rest knowing you don’t have to buy a new binding when one component takes a beating. The heel pieces are priced and sold individually, without brakes/baseplates and weigh 195g each. Please note this listing is just the turrets. Find the brakes separately here. price is for one pieces or 2 (complet 2 heels) ? The price is for one heel piece without a base plate or brake. Hi, what is the weight for a single ION LT heel piece with screws and any other necessary piece (AFD, eg)? Thanks! 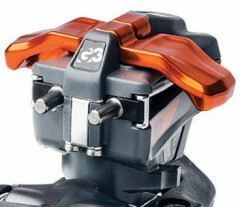 A single Ion LT with baseplate weighs 300 g. This is with the baseplate and 4 mounting screws, but no AFD or brakes as this binding is brakeless. This listing is just the turret, though! Would this Ion LT heel work on a Gen 1 ION baseplate? I want a heel piece that doesn't auto-rotate into ski mode while skinning, which my LT heels do now. Would your LT Heel include the base plate to stop this unwanted rotation? 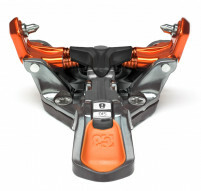 So I would like to get the ION LT Gen 2 heel, that locks into the baseplate for skinning. Hey Raymond! They should be cross compatible with one another without issue. Although I am suspecting that you are looking for an ION LT Heel Plate instead of a new heel turret? would the new heel pieces fit the same hole pattern ? Hey Ryan! Yeah, they should just drop into the existing holes without issue. What is 2 + 15?